Since nearly 70% of jobs require either experience or training, it can be difficult to find a good job in Chicago. Fortunately, there are a number of free training programs in Chicago that you can take part in. There are several advantages to taking part in vocational training. 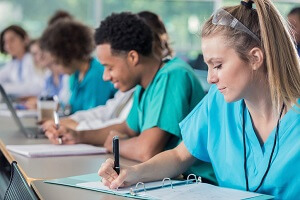 Most vocational training programs are a lot less expensive than earning a college degree, especially when you can find so many free training programs. It’s also significantly faster to go through vocational training compared to the time it takes to earn a degree. This allows you to quickly learn a skill that you can then market to potential employers. While a college degree or general job experience may look great on a resume, many jobs are looking for people that have specific experience within their field. Vocational training gives you that. If you need any type of job assistance, the American Job Center is the way to go. They have free training programs and other resources to help you find a great job. With job centers scattered throughout Chicago and the surrounding areas, it’s easy to find one close to you where you can go for job assistance. CDL stands for Commercial Driver’s License, and you need one if you want to drive a semi-truck. While driving a vehicle of that size may be intimidating to some, it’s a great job opportunity and a field that’s always hiring. 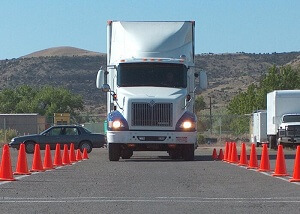 Many land shipping companies offer free CDL training on the job. That means you’ll not only get the training you need to get your CDL license, but you’ll have a paid position afterwards. …so you can actually get paid to get the experience you need for the job. Since truck drivers make an average of $53,000 per year, it’s a great opportunity for someone looking for a well-paying job with no prior experience. Since there’s expected to be an 11% increase in demand for Certified Nursing Assistants (CNAs), it’s a great field to get into right now. But, in order to get a job as a CNA, you need to complete a training program. Fortunately, there are a number of free CNA training programs in Chicago for you to choose from. Pick one that works best for you and you’ll be on your way to earning your certification to be a CNA. Thanks to a recent grant, you can now get free forklift training even more easily. This training will allow you to get forklift certification with which you can look for a job. 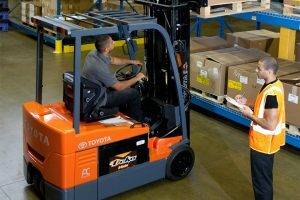 Whether in a warehouse or a store, there are a huge number of jobs that you can find which require you to have forklift certification. On-the-job training is another way to earn your certification. Depending on where you go, you may get unpaid or paid training which will allow you to get the forklift training you need and have a paying position lined up at the end. A Computer Numerical Control (CNC) certification will help you find a job working in one of the many machine-operated factories in Chicago. As machines get smarter, they will require more work from skilled technicians that can tell them exactly what needs to be done. In order to learn how to do that, you need a CNC certification. You can get all the CNC training you need for free. This will help you get the... ...job you want since you’re more than qualified for it. As long as you have a steady hand and aren’t afraid of blood, you can find work as a phlebotomist in Chicago. Many of these positions offer free on-the-job training so there’s no experience necessary. With free or even paid training, you can quickly and easily find work as a phlebotomist and won’t have to go through the struggle of getting certified and then finding a job somewhere since you’ll get both things rolled into one. This job is expected to see a whopping 25% increase in demand over the next 10 years, making it an excellent option for someone looking for job security. With literally hundreds of thousands of jobs available that require computer skills, it’s no surprise that having even basic computer skills will help you land a job in the field of your choice. However, getting those skills may prove to be a problem for some. What you may not realize is that many jobs offer free computer training so you can gain the computer skills you need as you work. This is the perfect solution if you don’t have the computer skills you need for a job but are willing to learn. An Emergency Medical Technician (EMT) is most commonly found riding in an ambulance, prepared to save the lives of anyone who needs them. If this fast-paced, intense job sounds like something you would like to do, then you can get free EMT training in Chicago. 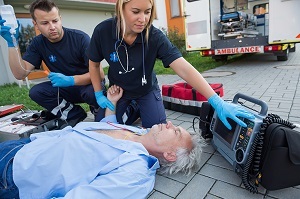 With this training, you can get a job with a hospital or an ambulance company that will allow you to find fulfilling work as you save lives and help people. As with other jobs in the medical field, demand is expected to continue to grow so you’ll have good job security. For some people, finding a job can be particularly difficult, such as those who have criminal records, those who are homeless, or those who have limited English proficiency. If you fall into one of these categories, one of Chicago’s Workforce Services Programs may be right for you. This program is meant to help people reach the level of employment that they need to provide for themselves or their families. It helps individuals get any additional training they may need to either maintain their current position, or obtain a new position. More than just helping individuals get a job, this program will work with you for a full 6 months (180 days) to ensure that you’re able to keep the job that they helped you find. As previously mentioned, there are a number of industries that require very specific training before you can enter into a position. Because it can be difficult for some people to get the training they need, this program will help prepare you for the job you want when it’s in a specific industry. Whether you’re looking for work in the hospitality, transportation, or medical industry, there is a free job training program for you that will help you get the position you want. If you have seemingly impossible-to-overcome barriers that are keeping you from getting a job, then the transitional jobs program may be right for you. This program will help you get a job, but it’s far more than just that. The transitional jobs program also helps you build your skillset outside of the workplace to ensure that you will be able to keep your job and remain a productive member of society. This is another program that reaches far beyond providing free job training programs and support. This program is designed specifically for ex-offenders who are looking to reestablish themselves in the community. The Community Re-Entry Support Centers also help these men and women find suitable housing and offer other services to ease their transition back to regular society. Thanks to all the free training programs available to people living in and around Chicago, there’s no reason that you can’t find a great job. If any of the training programs on this list piqued your interest, be sure to get more information on it so you can get started immediately. By doing that, you’ll be in your dream job before you know it!